This course is designed for individuals who wish to qualify as Safety Officers in the Construction Industry and General Workplace. It is also highly approved of by the Mining Industry and the Oil and Gas Industry. The course can be studied full time over 10 days or part time at your own pace. It includes tests, practicals and assignments. The course is fully accredited by HWSETA as SHETRAC. You will be exposed to exciting and relevant topics including: Hazards, Risk and Outcomes; Working at Heights, Working on Scaffolding both erectors and inspectors. The New Construction Regulations. Working on ladders and Elevated platforms. Drawing up Fall Protection Plans. The movement of materials in the workplace. First Aid and suspension trauma. Fire Safety and Emergency Evacuation. Working in Confined spaces. Hand and Power tool safety. SHE reps and SHE files. Performing Risk Assessments. Good House keeping. Safety Signage and PPE. Incident Investigation and Incident Reporting. Health and Safety in the workplace. Occupational Diseases and Cumulative Trauma Disorders. Safety on machinery and basic rigging concepts. Safety Audits . Legal liabilities in the workplace. The OHS act and OHSA. Environmental Safety and Pollution aspects. There are many more fascinating concepts that you will come across when studying this course. If your work is completed timeously and professionally you cannot fail this course. You will be issued with a Competency Certificate. We also offer the Internationally respected NEBOSH certificate for interested clients. The Safety Industry is one of the fastest growing industries and is very well paid in countries like Dubai, Nigeria and Gulf States. Having a Seta Accredited qualification in the Safety Industry is your first point of entry into these fantastic job opportunities. 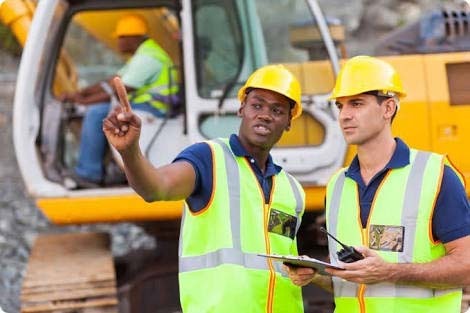 Safety Officers Course (SHETrac): Full time (10 days) or part time (your own pace); R12 500. 4. The Price is R12 500 excl VAT with NO EXTRA EXAM OR STATIONERY COSTS.